Should a New York Business be a Delaware LLC? This article is written for the New York business community for informational purposes. 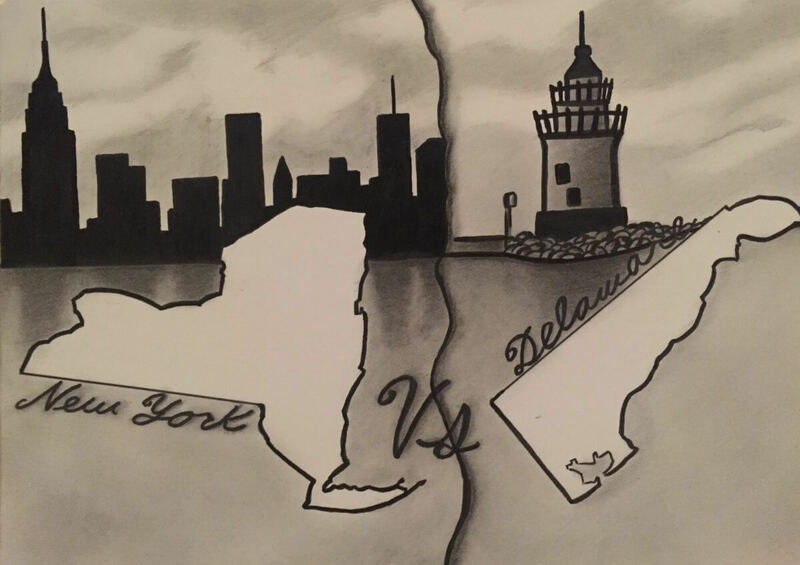 I have been asked numerous times: “Should my business be a Delaware LLC or a New York LLC?” This is a popular question as many believe there are legal and/or tax benefits by incorporating in Delaware. This article will compare the costs and filing requirements for a New York based business to form an LLC in Delaware vs. New York. (1) The new business will be located and operating in New York State. (2) The new business is not a single member LLC and will be taxed as a partnership for income tax purposes. Setup: There are three requirements for setting up an LLC in New York. The first is to file Articles of Organization with the Department of State (NY) along with $200 filing fee. The second is the publication requirement to be completed within 120 days of filing the Articles of Organization. To satisfy this requirement a notice of formation must be published in two newspapers (designated by the county clerk) for a period of six weeks; one paper being a daily publication and the other a weekly publication. Once completed a Certificate of Publication should be submitted to the Department of State (NY) along with $50 filing fee; whereas the actual cost of publishing will vary between counties in New York ($500-$1,000). The third requirement is the adoption of an Operating Agreement. It is important for individuals to spend the time and effort to create a detailed operating agreement. I recommend hiring a business attorney to draft it. This agreement will govern how the LLC is managed and the “deal” agreed-upon between members including how income and cash distributions will be allocated. New York Annual LLC Filing Fee: Yes, the LLC will be required to file Form IT-204LL and pay an annual LLC filing fee. This fee ranges from $25-$4,500 and is based on New York Adjusted Gross Income. Setup: It is very easy to form an LLC in Delaware. All one must do is file a Certificate of Formation with the State and include the $90 filing fee. That is it! Delaware Annual Fee: There is an annual fee of $300 due on June 1st of every year. Please note that no annual report is required to be filed and the annual fee can be paid online. Registered Agent: If the new business will not have a physical presence in Delaware it will need to designate a registered agent. The registered agent is a person or service located in Delaware that will receive service of process on behalf of the LLC if the LLC is sued in Delaware. There are numerous companies that offer registered agent services and you can expect to pay $50-$150 annually. Delaware Tax Return Filing Requirements: If the business has no other connection to Delaware besides being a Delaware LLC there is no requirement for the business to file a Delaware tax return. Doing Business in New York: A business formed in Delaware but located and doing business in New York would be required to (1) register to do business in New York; (2) comply with New York State tax filing requirements; (3) and comply with the New York annual LLC filing fee. Registering to do Business in New York: To register to do business in New York, the Delaware LLC must file an Application for Authority with the Secretary of State (NY). There is a $250 filing fee associated with this application. Additionally, the business must obtain a certificate of good standing from Delaware ($50 fee) to submit along with the Application for Authority. The business would also be subject to completing the publication requirement within 120 days of filing the Application for Authority (again, between $500-$1,000). File a New York Tax Return? A Delaware LLC with income, gain, loss, or deduction from New York State sources is required to file a New York State tax return (Form IT-204). All New York sourced income will be subject to New York State income tax regardless of where the LLC was setup. New York Annual Fee: A Delaware LLC with income, gain, loss, or deduction from New York State sources will also be required to file Form IT-204LL and pay an annual LLC filing fee. This fee ranges from $25-$4,500 and is based on New York Adjusted Gross Income. It is easy and inexpensive to form an LLC in Delaware. However, that is only half the story if the business is located in New York. A Delaware LLC located and operating in New York is not removed from the burden of complying with New York State income taxes and filing requirements. Furthermore, the Delaware LLC will be subject to an additional $300 Delaware Annual Fee and must retain a Registered Agent. I therefore believe there is NO income tax or filing fee benefit for a NY based business to be a Delaware LLC. A legal analysis of the possible advantages/disadvantages of forming an LLC in Delaware vs New York is outside the scope of this (tax) article. However, the reader should understand that a Delaware LLC operating in New York will be subject to New York jurisdiction for any cause of action occurring in the State (NY). Disclaimer: This article is offered for general information and educational purposes and not intended to be tax or legal advice. Peter Alizio is a CPA and Tax Attorney. When he is not solving IRS and NYS tax problems he likes football and playing amateur chef. He also enjoys meeting new people, preferably over coffee, whiskey or cigars.